The new Speed and Strength Straight Savage Gloves are here and bring classic cruiser styling to the Speed & Strength lineup. 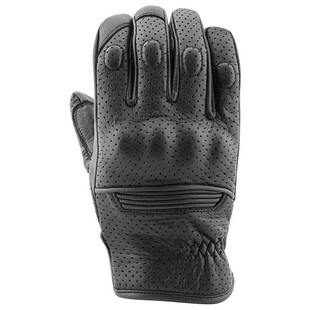 The goatskin palm allows for great tactile feedback and the perforation throughout the rest of the glove makes it a great warm weather option. The engineered thermoplastic knuckle along with the reinforced leather palm provides the protection we expect while still keeping true to the classic style of the glove. Overall, if you a looking for a simple, good looking warm weather glove for right around that $50 price point, the Straight Savage Gloves will be hard to pass up.